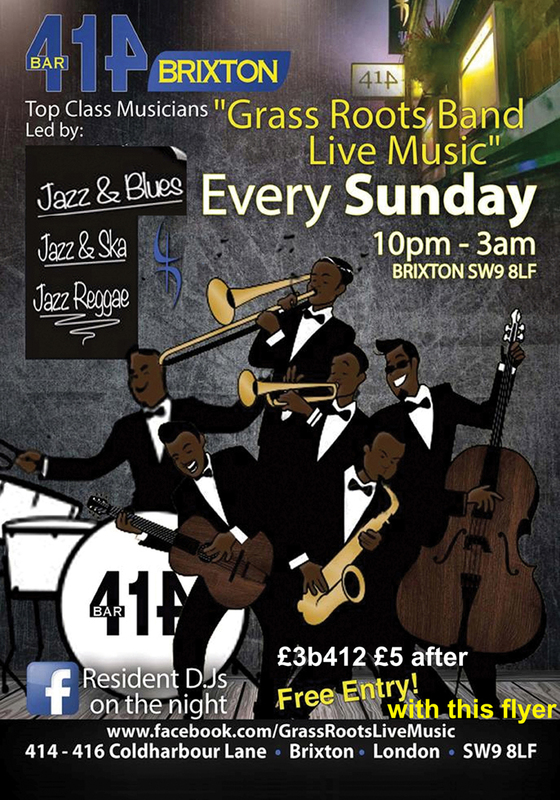 Grass Roots Live Music every Sunday @ Bar 414 Brixton. 10pm till 3am with the resident Grass Roots band playing Jazz, Blues, Ska & Reggae. A beautiful place to sit down and chill, chat with your friends or eat some food. Open Roof terrace for those who wish to smoke.